The nexVIEWer comes with a full-function administrator module that allows you to configure ‘Map Groups’ within the nexVIEWer, customizing the content and tools for different users or departments. In this manner, the nexVIEWer's map services, tools and functions can be customized to support a wide range of different work functions. 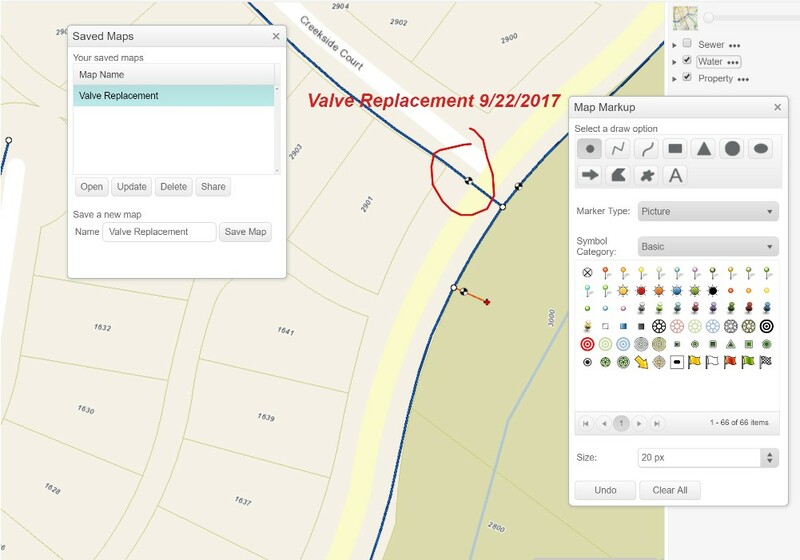 Already using ArcGIS Online or Portal to publish web maps? 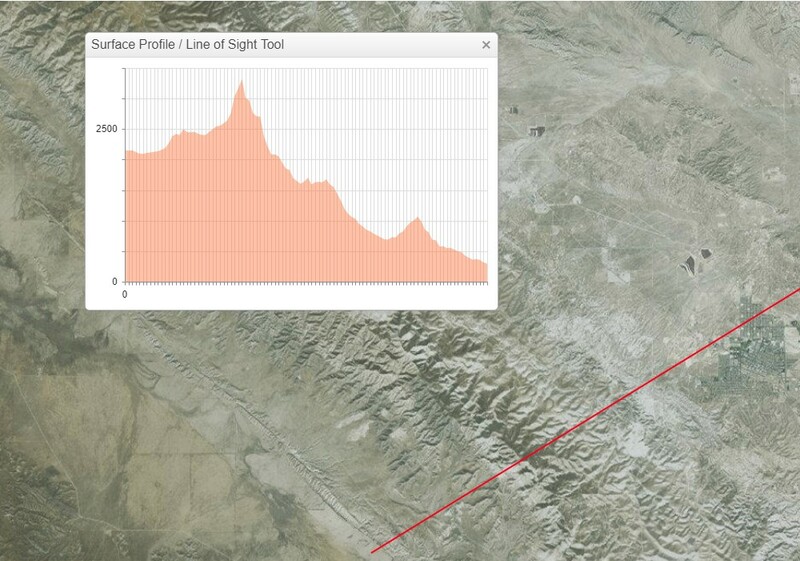 The nexVIEWer can utilize your existing web maps in conjuction with the powerful tools found only in the nexVIEWer. Configure speciality search widgets using the nexManager or use our attribute query builder. Results are displayed in an easy to read, filterable grid and may be exported or buffered to generate notification lists. Use the mark up widget in conjunction with the map saving widget to allow users to save their work and share map notes and markups by email. 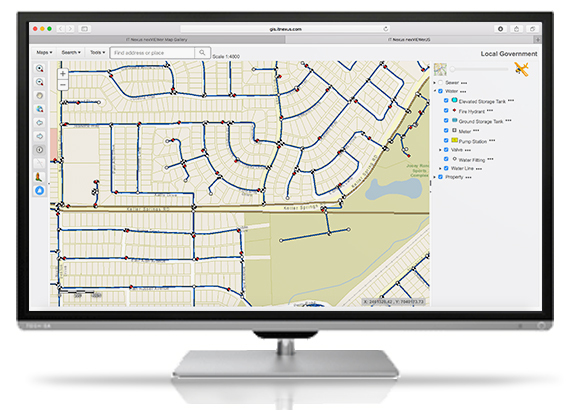 The Utility Network Trace Tool gives you the ability to trace both pressurized utility networks to find shut off valves or to trace up stream or down stream on a sewer or storm drain system. 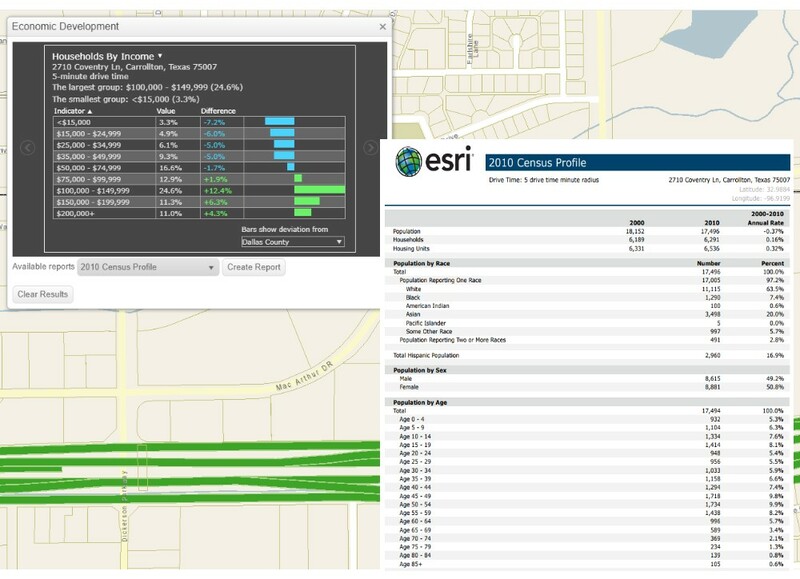 The Demographics widget displays demographic information for an area by radius, drive time, or user-defined polygon. 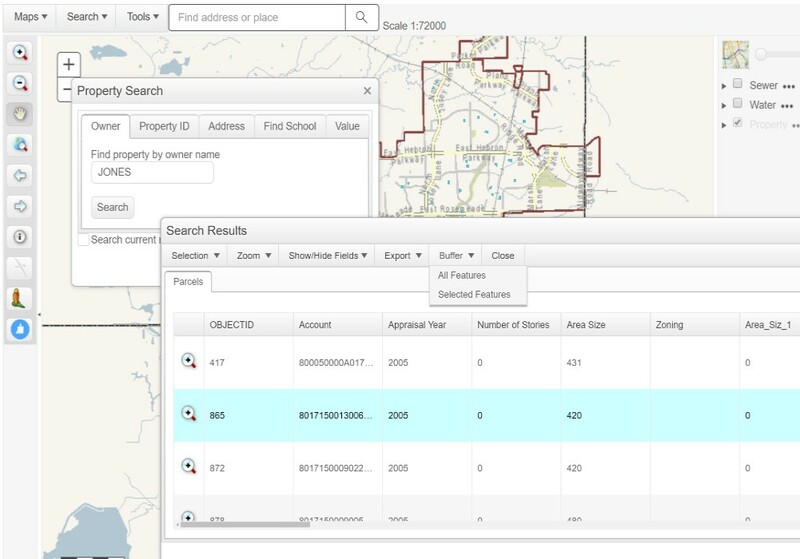 Create detailed economic reports powered by ArcGIS Online. 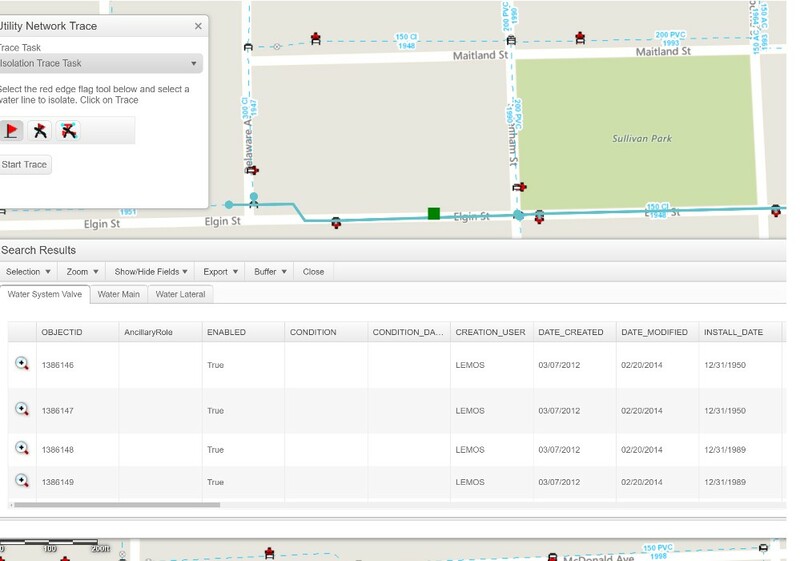 Use the nexManager to configure easy to use geodatabase editing tools. Grant the ability to edit feature geometry, data attributes or add attachments. Use our terrain anaylsis tools to visualize 3D surface models. Generate surface profile cross section views by interactively drawing a line or by selecting existing map features like power lines or pipe lines. 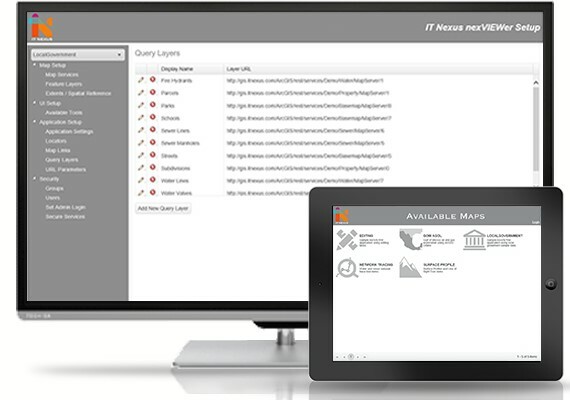 The nexManager allows the site administrator to configure the map services, feature layers, queryable layers, available tools, custom search capabilities and security settings for each map group. All settings are saved in a SQL database and accessed through nexVIEWer's RESTful API. Because the nexVIEWer dynamically loads its content and widget settings, there's no need to generate and maintain individual websites.